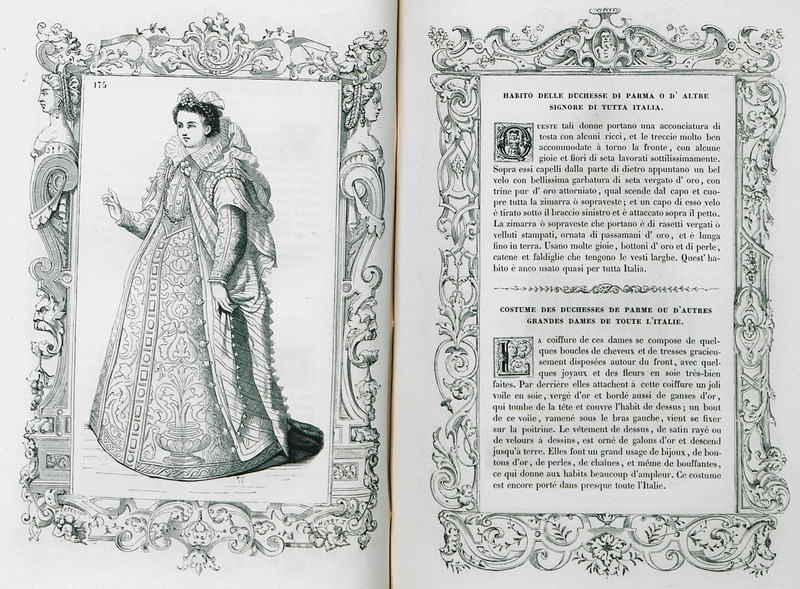 Costume of the Duchess of Parma, and other aristocratic ladies of Italy. 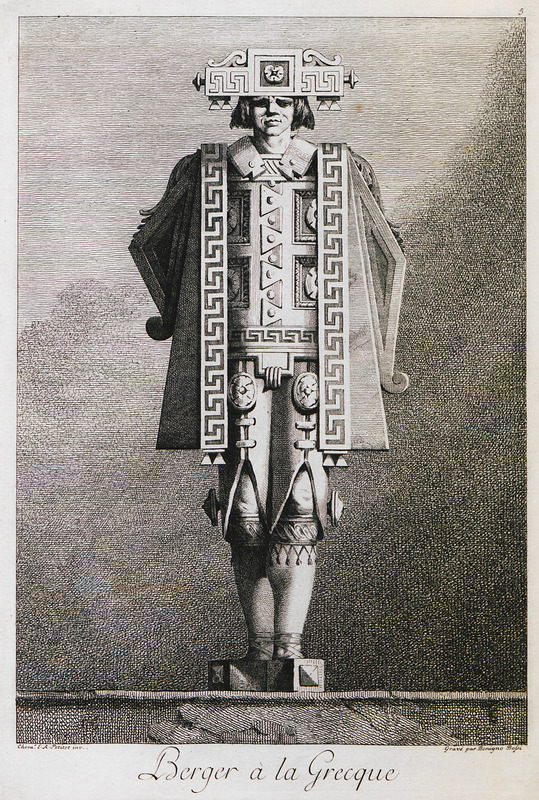 Costume of young peasant from Parma. 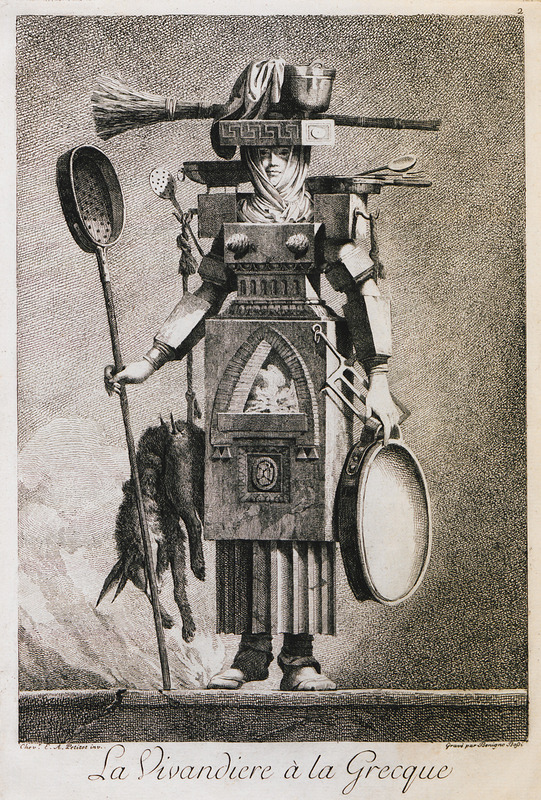 Costume of vivandière (woman sutler) inspired from Greek vases and architectural features of ancient temples. 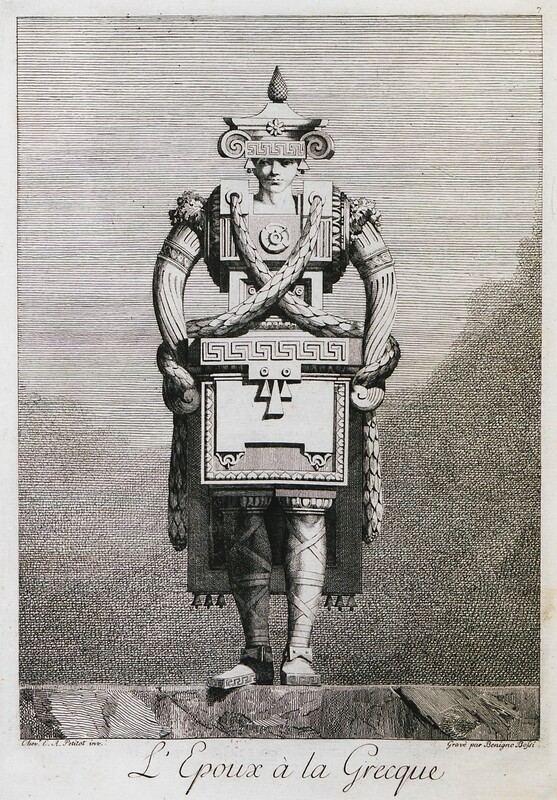 Costume of grenadier, specialized infantry soldier, inspired from Greek vases and architectural features of ancient temples. 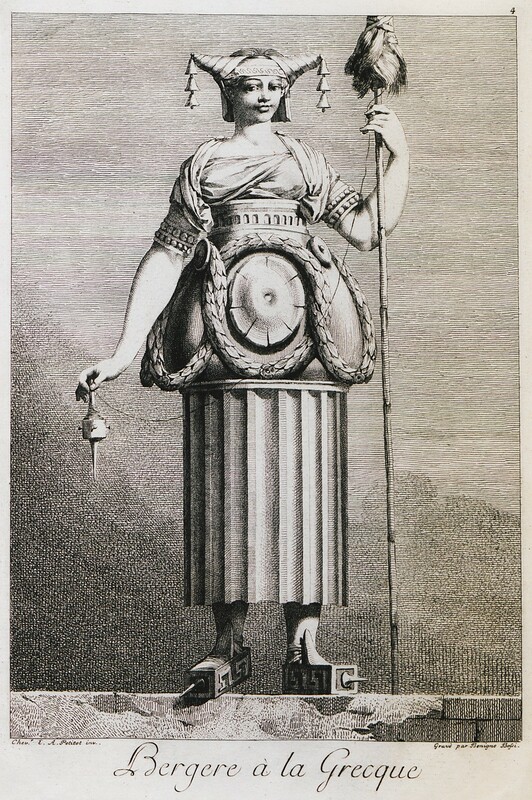 Costume of shepherdess inspired from Greek vases and architectural features of ancient temples. 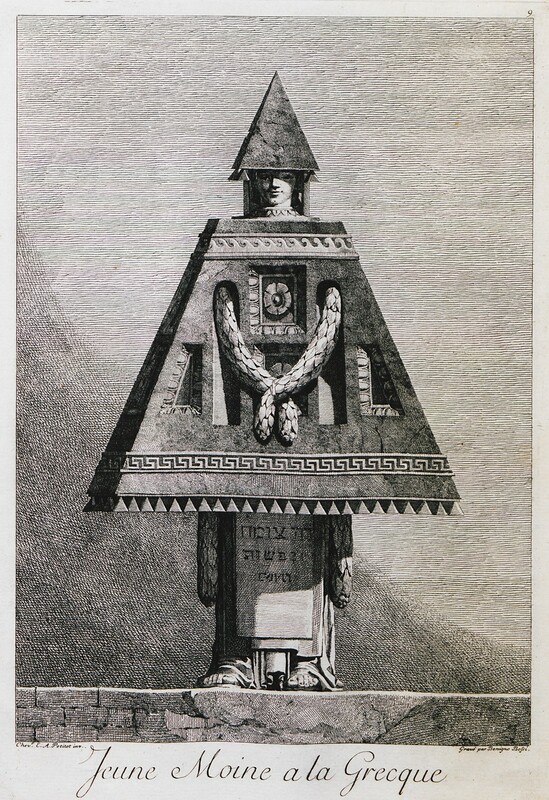 Costume of shepherd inspired from Greek vases and architectural features of ancient temples. 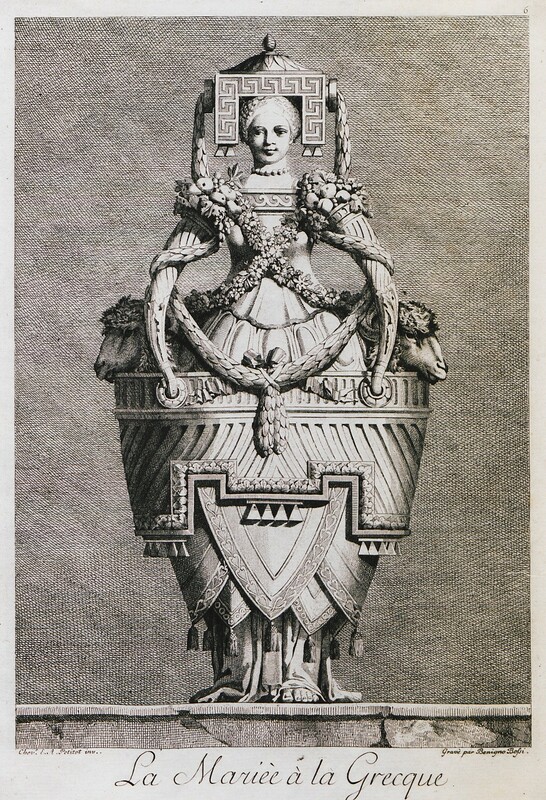 Bridal costume inspired from Greek vases and architectural features of ancient temples. 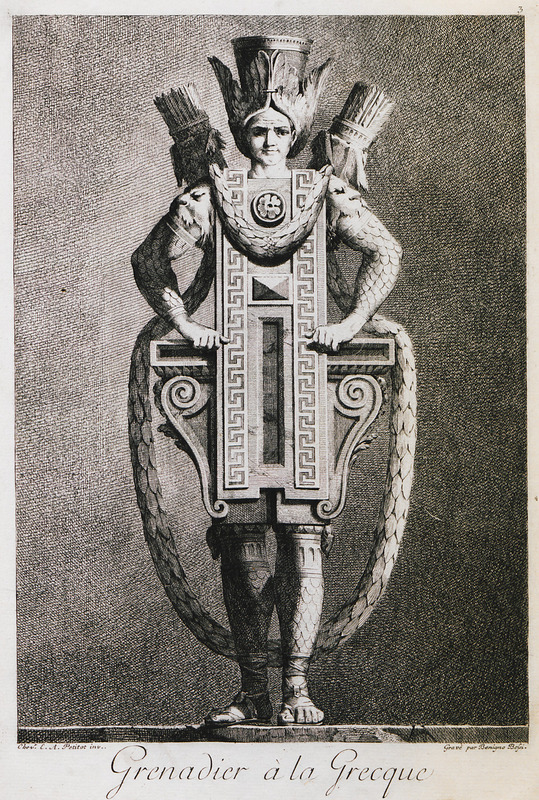 Costume of bridegroom inspired from Greek vases and architectural features of ancient temples. 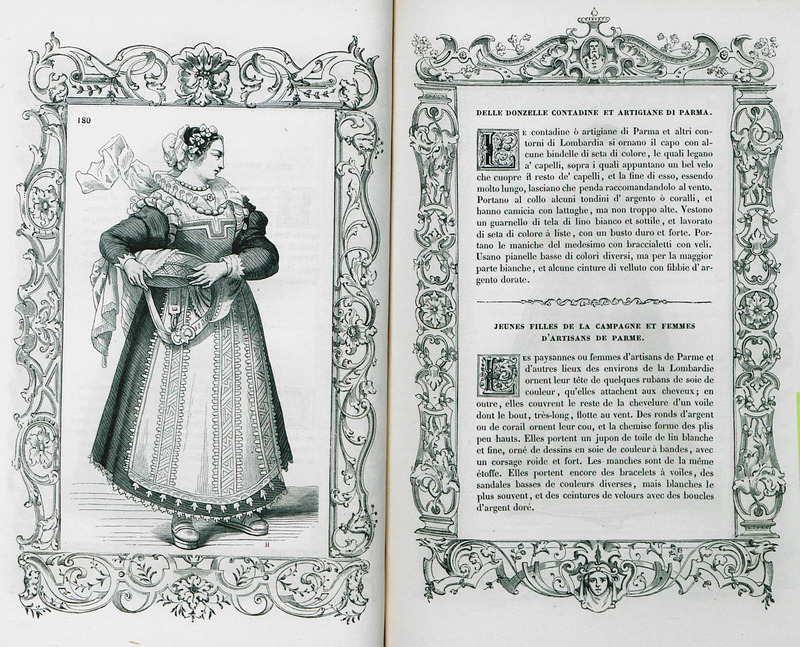 Costume of nun inspired from Greek vases and architectural features of ancient temples. 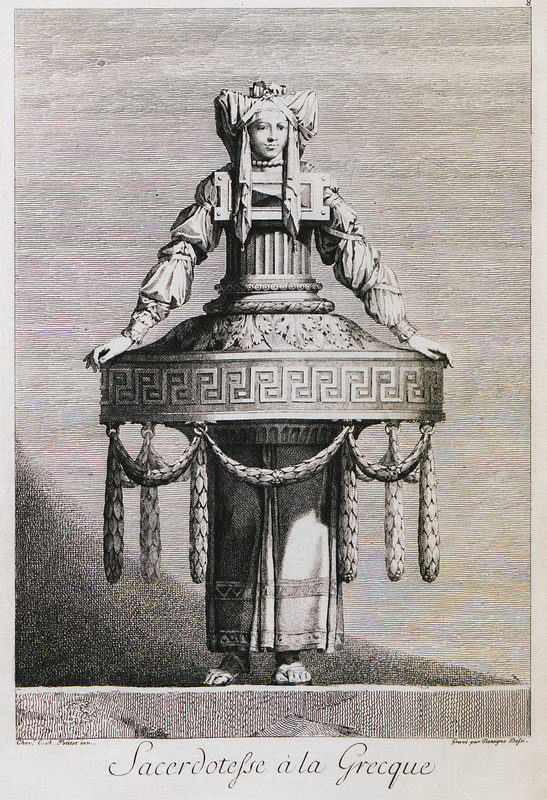 Costume of young monk inspired from Greek vases and architectural features of ancient temples. 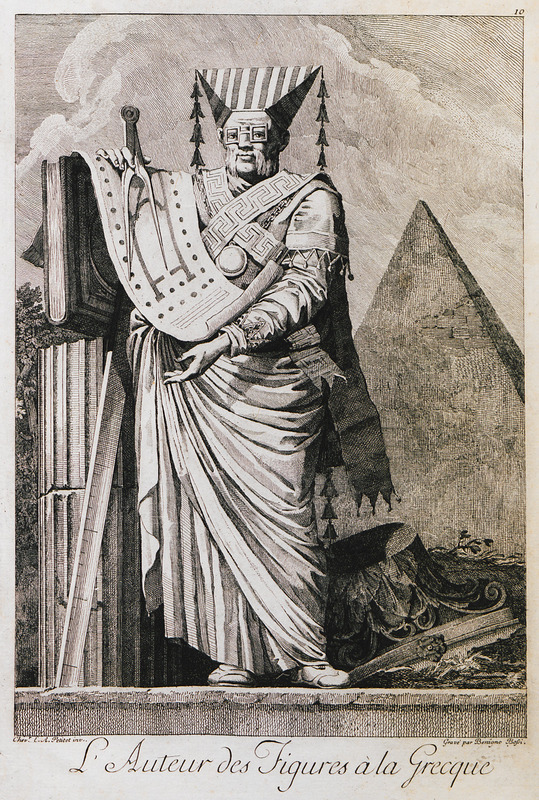 Architect and designer Alexandre Petitot in costume of his own design, inspired from Greek vases and architectural features of ancient temples.